Well a lot of us get extra stressed around the holiday season, and if you don’t want to take something that will totally knock you out, try a gentle relaxing cup of sedative tea instead of popping a pill. I have included a brief blurb so that you can get an idea of the herbs that will work best for your constitution.Please always check with your naturopathic physician before combining herbs with prescription drugs. Do not take sedative herbs during pregnancy or breastfeeding. #1 Passionflower- The intricate purple flower pictured above was shown to be as effective as sedatives in the benzodiazepine (valium) family, the aerial parts of this herb are great for nervous tension and anxiety. 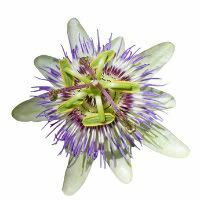 In recent research, passion flower extract at 45 drops daily (tincture) was shown to be as effective as oxazepam (similar to valium). This nervine herb is also “antispasmodic” which makes it great for people with constant nervous twitching. #2 Ashwaganda- This is probably one of my favorite herbs, which is why it got the award for “Best Herb of 2007.” Unlike most of the herbs on this list that are designed to be taken at night or at least late afternoon, both ashwaganda and schisandra (listed below) are terrific “adaptogenic” herbs that help us tolerate our stressful days that much better. You can make some tea, or grab some capsules of the organic root and take two capsules twice a day. This herb is specifically intended for those that are exhausted and agitated or debilitated by stress. In ayurvedic medicine ashawganda is a renowned anti-aging and rejuvenating herb. #3 Schisandra- Referred to as “Chinese Prozac” this herb is commonly unappreciated and underutilized in American herbal practice. Schisandra is a terrific day time adaptogen herb and should be taken as is recommended with Ashwaganda, two capsules with breakfast and lunch, or a cup of tea in the morning and afternoon. The berries can be made in to a nice aperitif for those with a low libido. 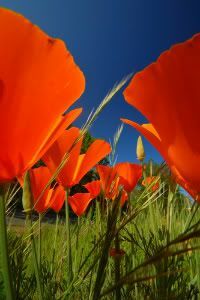 #4 California Poppy- The bright orange flowers of the California poppy, leaves and other aerial parts are sedative, anti-spasmodic, and mild pain relievers. This is also a gentle herb used for colic and agitation in children. Do not use this herb or any other sedative herbs in pregnancy. #5 Hops- No I am not recommending that you drink more beer to calm down. However, the herb commonly used to make beer bitter also works as a sedative. It is extremely bitter though so is best given a small part in your herbal tea formula for insomnia or stress. Do not combine with prescription sleep aids due to an additive effect. #6 Kava Kava- A well known Polynesian psychotropic sedative, this herb is sedative and “spasmolytic” and thus helpful for chronic pain conditions. Several conflicting studies debate the safety of using this herb with alcohol. Liver damage is thought to occur if used in large doses in conjunction with alcohol. This research however was used to scare many people away from using kava kava for whatever reason. People need to simply remember that herbs are medicines and that an herb with actions similar to prescription sleep aids and analgesics will of course pack the same side effects. A strong herb demands respect. When used ceremoniously, or occasionally this herb does not run the risks it runs when it is heavily abused. The best way to safely use kava kava is in an organic tea form. Look for a tea blend that includes kava, or make your own. This herb should not be used in large doses, and large doses should not be used over long term. Do not combine with alcohol, or use during pregnancy or nursing. Chronic abuse will result in a horrible scaly skin rash. #7 Lavender- Try adding lavender to your favorite baked good recipe. Purple lavender flowers will offer a sophisticated herbal makeover to your favorite shortbread cookies, or white tea cakes. Lavender is great in your herbal medicine blend, and can also be used to stuff pillows, or as an aromatherapy stress reliever throughout the day. Lavender should not be used in pregnancy due to it’s emmenagogue effect. #8 Lemon Balm- Also known as “Melissa officinalis” this herbal sedative should not be used by those with hypothyroidism as it inhibits the thyroid and is used to treat hyperthyroidism, however for everyone else it is a common simple herb to grow in your garden and make in to your own calming sedative tincture each summer. Do not use this herb in pregnancy. 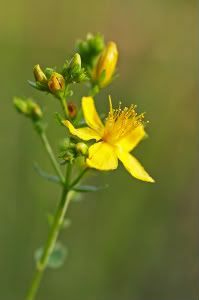 #9 St. John’s Wort- Although we think “depression” the second we hear about St. J’s Wort, we also need to address that depression and anxiety tend to walk hand in hand and this herb is not just an anti-depressant it is a mild sedative as well. St. John’s Wort has also been shown to have a lower risk of side effects than conventional anti-depressants and is worth trying for those that don’t quite have severe enough depression to mandate the use of a prescription pharmaceutical, but instead need something to take the edge off and boost the mood a bit. This herb should not be used by those on oral contraceptives, or any medications as it increases the cytochrome p450 enzyme system which results in a more rapid detoxification of drugs from the system. The drugs or birth control pills are then rendered useless. Standard dose of St. John’s Wort for those not on any other medications, is 300 mg three times daily of the 0.3% standardized extract. 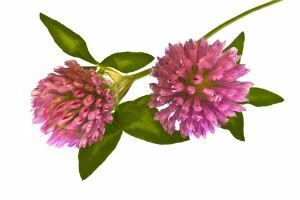 #10 Red Clover- Not traditionally recognized as a sedative, but as a mineral source and blood thinner, this “cooling” herb calms the system and has a special affinity to the lungs, throat, and salivary glands. This is a terrific balancing herb to include in your herbal sedative blend as the dried flower blossoms make for a beautiful addition to a glass teapot. Do not use in pregnancy, or if on blood thinning medications. #11 Catnip- Not just for cats. Catnip is actually a gentle nervine herb for humans. No it won’t make you roll around on the carpet or chase after things (at least not to my current knowledge) but it is still a great mild sedative. This herb should absolutely NOT be used during pregnancy, as most herbs should never be used during pregnancy without checking with your naturopathic midwife, however it can safely be used in children by making a very weak tea. Be sure to only give your children organic herbs and check with their pediatrician or naturopath prior to use. #12 Valerian- Definitely one of the more potent herbal sedatives, valerian is also a great pain killer for those with chronic pain. Some people prefer not to use this herb because it can cause quite the herbal hangover the next morning and most complain that it makes them feel really groggy, or desire to sleep through the day. #13 Motherwort- The perfect herb for fried and frazzled mothers; it strengthens a weak heart and is great for nervous palpitations. Motherwort is best taken over a prolonged period of time, and because it is a uterine stimulant, it should not be used in pregnancy. #14 Skullcap- A bitter, cooling sedative herb that is best used for nervous fear, restless sleep, and is also thought to lower blood pressure. This herb is great for people with the inability to pay attention—huh what was that? And has been used effectively to calm down children with ADHD. Some kids concentrate better when they are sped up, and some do better when they are calmed down. #15 Chamomile- One of the most common kitchen herbs, chamomile is a great mild sedative and digestive bitter. 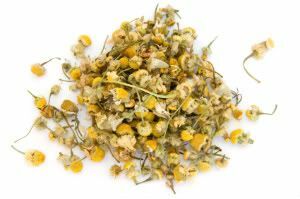 Be careful in using chamomile tea if you experience ragweed allergies, formally known as the “asteracea family” and previously recognized as “composite family.” If you have a history of seasonal allergies you should exercise caution. Traditional Herbal Sedative Use: Establishing a nighttime or daytime tea ritual is a great way to reduce stress, avoid binge eating, and help those that fight insomnia get to sleep at a decent hour. 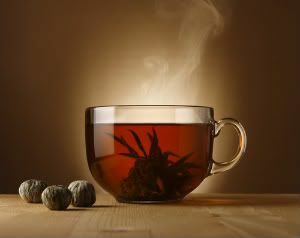 Don’t forget to have your pot of tea with one of my favorite “Bedtime Snacks for Insomniacs.” Also if you tend to be one of those that gets troubled by having to use the restroom in the middle of the night, be sure to drink your tea at least 90 minutes prior to your expected bed time. Directions: For most of these herbs simply make a tea with about 1 tsp (milder herbs use a tablespoon) to 8 oz cup of boiling water. Allow to steep covered 15 minutes. Or if you aren’t a tea drinker just look for a pre-made organic herbal formula to take in tincture or capsule form, and follow the manufacturer’s recommendations. Common Sense Cautions: Please check with your naturopathic physician before combining any herbal medicines with prescription medications or making any changes to your health care routine. Women that are pregnant or breastfeeding should never use any herbs unless prescribed by their naturopathic midwife. You can find bulk organic herbs at Whole Foods, through your local tea shop or buy them online through Mountain Rose Herbs. What is your favorite herbal sedative? Great post! I have several of these herbs in my pantry and didn’t think about their calming properties. I’m going to make a pot of tea tonight! 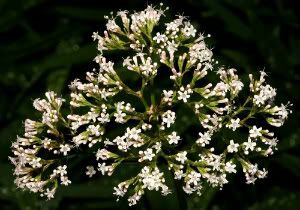 My husband used valerian when he was having anxiety attacks and it worked wonderfully. its calming qualities for years. I’ll share this post with my readers, they will love it. This is a certainly a comprehensive article. It contains everything I ever wanted to know and even more besides. As I’m recovering from a head injury I wouldn’t consider taking any herb or drug at this time. However, once I have recovered there will be times when I experience insomnia and I might consider taking one of these, so I’m bookmarking this page. I think i should try this one. not only the holiday is stressful, even in a regular day you might get stressed. Ooooh I am bookmarking this page as I have friends ask me all the time if I know of any herbs that are good for relaxing. This is very comprehensive, in fact it is the most comprehensive list I’ve ever seen. I also like the idea that different herbs work better for different people. It is so good to hear that as some herbalists just prescribe across the board. I have also found that something that works one time may not work another time for me, so it is really helpful to know of more than one or two herbs. Very well done my Doc friend!!! Thank you for taking the time to list this many. Hugs and love, Robin. I really enjoyed this article. I know what I’ll be growing in my garden this spring. Wow, I’m heading to Whole Foods later to pick me up some passion flower drops! This is a great post. Thank you. I have many of these plants in my herb garden and passionflower is a common weed!!! This is great and I sending my readers over. St. John’s wart is my favorite for calming as I do suffer from S.A.D. As for tea chamomile is my choice. I appreciate that you have mentioned to consult with the medical field when consuming herbs in combination with medicine. I am finding your site full of many helpful hints. This is a good info and so many herbs. I used lavender oil on my breast when I was delivering my daughter instead of painkillers and it went alright. I think it helped. The oil is volatile. Containes linalyl acetate and linalool and camphor. It has a hypotensive action and Central nervous system depression action. you can get sedation from oral topical and inhaled doses. It may also have lipid-lowering activity and prolong sleeping time. There are many different lavenders out there, L. officinalis is the true form which is the only non-toxic one. Be aware of the others. 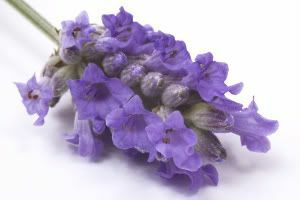 Spike lavender is common and toxic since it has a high camphor content – it smells the strongest and it’s used in pillows and other aromatherapy things. You can also apply it topically as antiseptic for psoriasis, scrapes and cuts and burns. It is mainly used for the sedative effect. I am glad you felt such comfort. Prepare from raw by adding 1 – 2 teaspoons of dried flowers to 5 ounces of hot water. Since i have moved from NYC, I am trying to detox…not fun. I have been drinking Hibiscus tea…very soothing. No more Ambien for me. I prefer nature over the doctor’s office as well. I would add the natural power of the goji berry to the list. It cleanses the body. Contains lots of minerals, vitamins and anti-oxidants. It boosts your energy and supports the immune system. Great article. I haven’t seen such a comprehensive list of herbal sedatives. I didn’t realize there are so many! Bookmarked and Stumbled. Add Sceletium to your list. Great article on herbs. I’ve been a herbaholic for years. I don’t now if an african bean counts as a herb – probably not – but it’s a great sleep aid and good for relieving anxiety – HTp5 at doses between 500 and 1000 mg. It’s tryptophan. I learned a lot from this article – namely that I will make my chamomiile stronger and let it steep for 15 minutes AND that I will add Ashwaganda and Schisandra. Ashwagandha. I’ve tried about half of the listed ones and the only ones that had any effect were valerian and ashwagandha. Valerian only hastened sleep slightly while ashwagandha helped me stay asleep better. Chamomile can dangerously affect the metabolism of some medications, by the way. i’ve been trying valerian for years and don’t think it’s good enough to calm down someone with anxiety, but it does seem to help you “pass out,” as opposed to relaxing and falling asleep gently. it doesn’t seem to make me sleep long enough either. passionflower sounds great, but I have my doubts about it’s effectiveness. I’d like to try it though. I would try dosing it low during the day and higher at night to see if that mitigates the prob re: valerian. Passionflower works wonders for many, but for those with true panic disorder, agoraphobia, severe anxiety I would recommend a stronger treatment. It is a great daytime relaxant that typically doesn’t make us sleepy, and great for hyper ADHD kids, anxious kids, and kids with difficulty sleeping. Now that’s a lot of facts I didn’t know about tea. I guess I should start drinking more :). Very interesting article, congrats. First thanks for the fantastic, well-written and comprehensive list of sedative/nervine herbs. I suffer from more or less constant anxiety, nerves, etc. Unfortunately most of the herbs that I’ve tried in this list (valerian, motherwort,) have given me horrible drowsiness which isn’t good – I want to be calm not falling asleep. Exceptions have been L-Theanine supplement (or drinking green tea) and lemon balm. I haven’t tried passionflower on its own yet. Do you’ve any ideas for the best anti-anxiety herbs that are least likely to cause that horrible sleepiness that so many on this list do? Thanks in advance; great article and great website. Great list you got there my friend! I am into herbal remedies so this is really a big help. Very interesting facts. Lots to digest in this article. I too didn’t know some of the facts you presented about tea. Thank you for sharing this wonderful article. it really helps especially I’m interested with health products. I like the no. 12. The valerian. I see this is an old post, but thank you for the list. Some I knew about, some are definitely new to me. .-= Amanda´s last blog ..Buy Nettle Tea =-. Actually, I am researching on herbs and from last couple of days, I was searching for suitable herbs for my project. Thanks for the post. Your valuable article will greatly help me to select suitable herbs for me.